Michael Fassbender and Marion Cotillard star in this action-adventure film based on the critically acclaimed video game franchise. 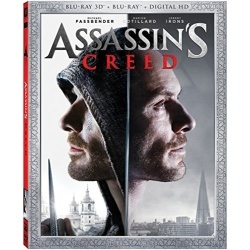 Through a technology that unlocks his memories, Callum (Fassbender) discovers he is a descendant of an ancient line of Assassins. Bring home this "beautiful cinematic experience that transcends its video game origins in every way."